The Latin Explosion: A New America celebrates the music, the artists and the visionaries who have pioneered this sea change, exploring how the growing Latino community is impacting American culture for the better. Anchoring the film are exclusive interviews with the musicians at the center of Latino power and influence in this country, including Gloria Estefan, Marc Anthony, Jennifer Lopez, Pitbull, Ricky Martin, Romeo Santos, members of Los Lobos, Rita Moreno, Jose Feliciano and others. They talk about their lives and music, as the film celebrates their mega crossover hits that have defined the American experience and set the stage for the “Latin Explosion” in all aspects of American life. Jon Alpert has distinguished himself as an award-winning journalist. He has won three Primetime Emmy Awards, eleven News & Documentary Emmy Awards, one National Emmy for Sports Programming, four Columbia DuPont Awards and a Peabody Award. Alpert, a native of Port Chester, N.Y. graduated from Colgate University in 1970. He then spent two years driving a taxi in New York City and held various odd jobs to support what he called his “growing video habit.” In 1972 he and his wife, Keiko Tsuno, started the Downtown Community Television Center, one of the country’s first community media centers. Alpert bought a used mail truck for five dollars, installed TV sets in the side, and began showing his videotapes on street corners in Chinatown. At first nobody watched, but soon his tapes about local issues began to attract small crowds. Between 1974 and 1979, Alpert co-produced five one-hour documentaries for public television. The earliest, entitled “Cuba: The People,” presented the first American television coverage inside Cuba in ten years. The New York Times selected Alpert’s work as one of the best television productions in the country that year. In 1976 he won one of his four Columbia DuPont Awards and The Christopher Award for “Chinatown: Immigrants in America.” His 1977 award-winning piece on Vietnam entitled “Vietnam: Picking Up The Pieces,” markedthe first time an American TV crew had filmed inside Vietnam since the war. Alpert began contributing to NBC in 1979 with his coverage of the Vietnam-China Border Wars. Over the next dozen years Alpert’s investigative reporting, editing, and camera work earned an impressive string of awards and scoops. In addition to his work as a reporter and filmmaker, Alpert serves as co-director of the Downtown Community Television Center (DCTV), America’s largest and most honored non-profit community media center, which is located in a landmark firehouse in New York City’s Chinatown. 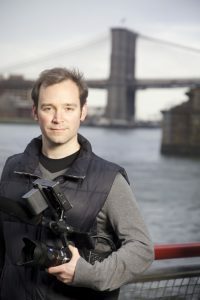 Matthew O’Neill is an Emmy Award winning and Academy Award nominated director whose been working with DCTV making documentaries for the last ten years. 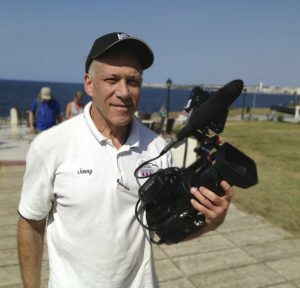 For the 2006 HBO documentary he directed with Jon Alpert, Baghdad ER, he earned a Columbia DuPont Award, a Peabody Award, an Overseas Press Club Award and three Primetime Emmy Awards for Nonfiction Programs (Best Directing, Best Cinematography and Exceptional Merit in Non-Fiction Programming). His other HBO documentaries include the Academy Award nominated Redemption (2013), the Emmy nominated Alive Day Memories: Home From Iraq, the Emmy nominated Section 60: Arlington National Cemetery (2008), the Academy Award nominated China’s Unnatural Disaster: The Tears of Sichuan Province (2009), the Academy Award short-listed In Tahrir Square: 18 Days of Egypt’s Unfinished Revolution (2012) and Wartorn: 1861-2010 (2010) – winner of the 2011 Robert F. Kennedy Journalism Award Grand Prize. His other documentaries have aired on PBS, ESPN, Channel 4, NHK and broadcasters worldwide. In 2005 he was awarded a Pew Fellowship for International Reporting and his filmmaking overseas since has taken him from the steppes of Siberia to the scrap mines of Potosi in Bolivia and on to Russia, Turkey, China, Cuba, Iraq, Indonesia, Kazakhstan, Kuwait, Bolivia, Mexico, Haiti, Afghanistan, Egypt, Venezuela and North and South Korea. His work closer to home has been recognized with five New York Emmy Awards and a Sigma Delta Chi Award for Public Service Television Journalism. Matthew grew up on Long Island in New York, graduated from Yale University with a degree in Theater and is a Term Member of the Council on Foreign Relations.